P eople suffer through a variety of common conditions that may actually be treated effectively not by over-the-counter drugs but by those common household remedies. Although there may be some of such age-old remedies that don’t end up working at all, there are surprisingly others that are proven to be effective. Here are some of those surprising and yet effective home remedies that you should know about. Doctors abide by the effectiveness of using oatmeal to sooth eczema. 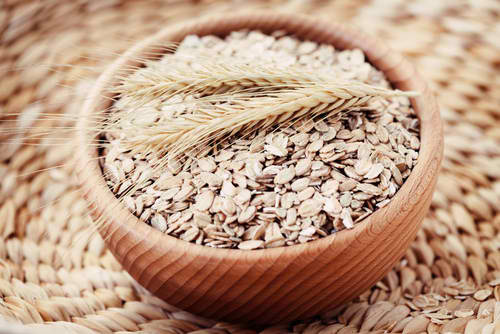 Oatmeal is known to have anti-inflammatory properties that might help soothe the symptoms associated with eczema. Using oatmeal as a paste and then applying it on the affected area for at least 15 minutes can be good enough to help reduce inflammation. People may not be aware that bad breath can originate also from the stomach and not just the mouth. Acids in the stomach as well as those anywhere between the mouth and the intestines can also cause bad breath. Yogurt may be effective in neutralizing these acids and help treat possible bad breath. Yogurt may be effective for bad breath as a result of gastrological conditions. But it may not be as effective in treating bad breath emanating from the mouth area. This age-old remedy has proven to be effective not just by mothers but also by doctors. It seems that salt in the gargle helps draw out excessive fluids in the throat tissues that reduce the swelling and help relieve the pain that it causes. One tablespoon of salt mixed with 8 ounces of water may be enough to do the trick in treating that sore throat.